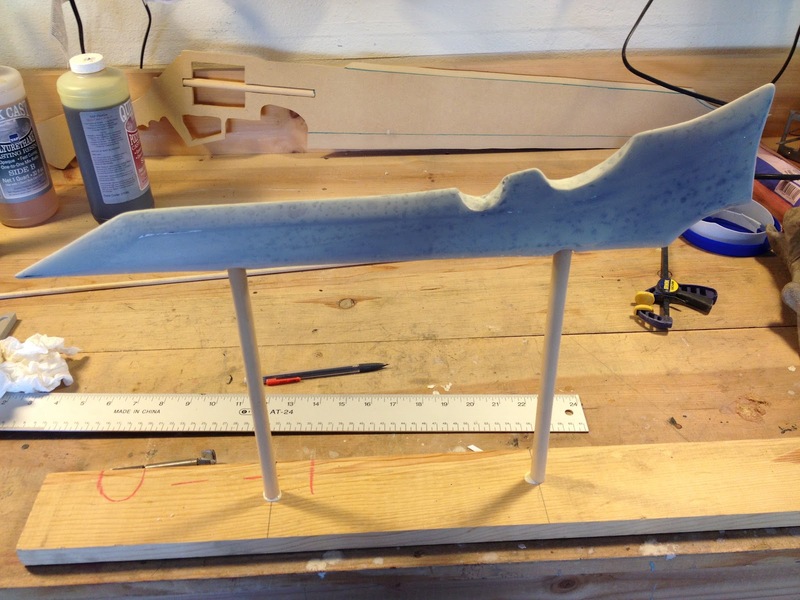 It took a while to sand down the resin coating on the floating part of Shalamayne's blade. I think I learned enough to apply it better on the main part of the sword. Now I'm ready for the primer coat on the floating blade. So to help with that I created a stand from a dowel and a scrap of wood. 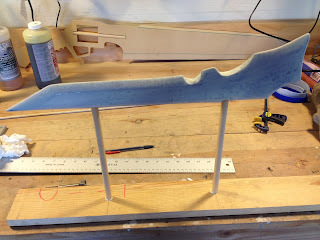 There is going to quite a bit of filling I'll need to do on the blade surface due to the uneven nature of the resin coat, but the increased strength should make it worth while. 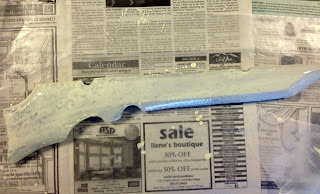 I finally had time to test coating part of the foam blade with casting resin. The worry had been that the foam blade could be easily damaged by light impact, so I wanted to try adding some strength to the surface. I mixed up a tiny amount of casting resin and painted it onto the "floating" part of Shalamayne's blade. This piece is small enough to work on, and small enough to be replaced if I messed it up. The plastic sets quickly, so the surface isn't perfect, but I think I got the hang of it. 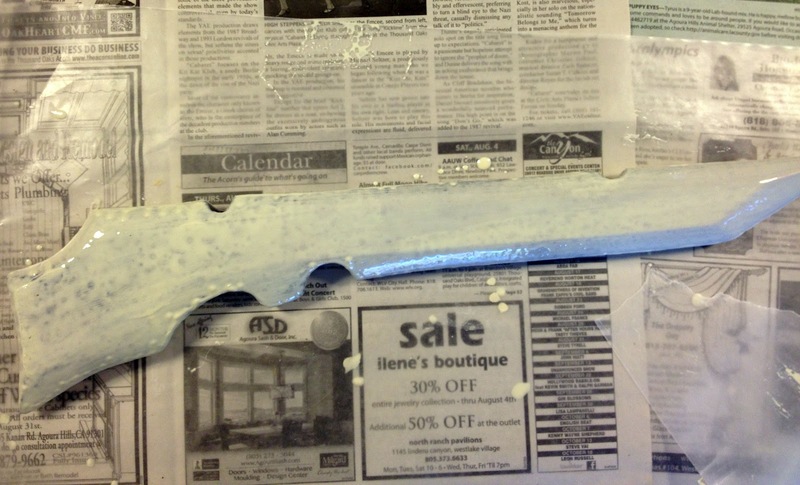 The next step is to sand it smooth, prime and paint. I want to be sure it will look perfect before I apply the same to the main sword blade. But even given that, the foam does feel much stronger.